On the Air for Symphonic Band, by Grammy®-winning composer Michael Daugherty, is a music fantasy on Arturo Toscanini, who conducted the NBC Symphony Orchestra in live radio broadcasts at Rockefeller Center in New York City from 1937 to 1954. Born in Parma, Italy, Toscanini (1867-1954) was internationally recognized as the most gifted conductor of his time, famous for his definitive interpretation of operatic and symphonic repertoire. At the height of his career, Toscanini was forced into exile in 1936 for his refusal to become part of Mussolini’s Fascist regime. The seventy-year-old Toscanini sailed across the Atlantic Ocean to the island of Manhattan, and cast his magic spell upon all who heard him conduct. 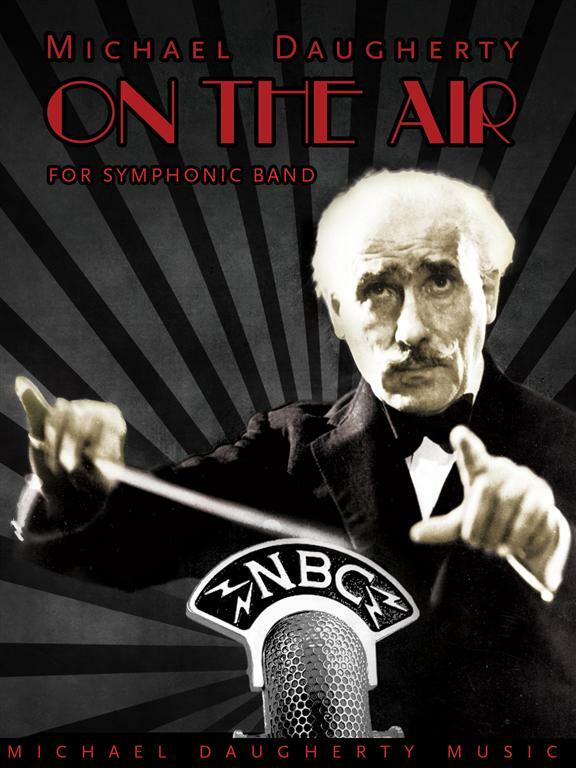 Under his baton the NBC Symphony was heard by millions of listeners, and through his live radio broadcasts and recordings, Maestro Toscanini became a household name in America. In 1939, Life magazine reported “the world knows Toscanini as a great conductor with a fearful temper, an unfailing memory, and the power to lash orchestras into frenzies of fine playing.” In his On the Air, Daugherty has composed exciting music that captures Toscanini’s tempestuous temperament, his musical intensity, and the frenzied tempos of his legendary performances.